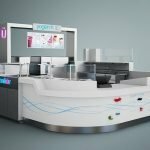 Are you looking for exquisite candy kiosk design? are you still worried can’t find direct supplier help you do it? 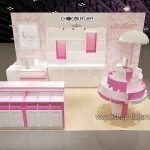 here what I wanna share is a hot sale sweet candy kiosk for your meet. 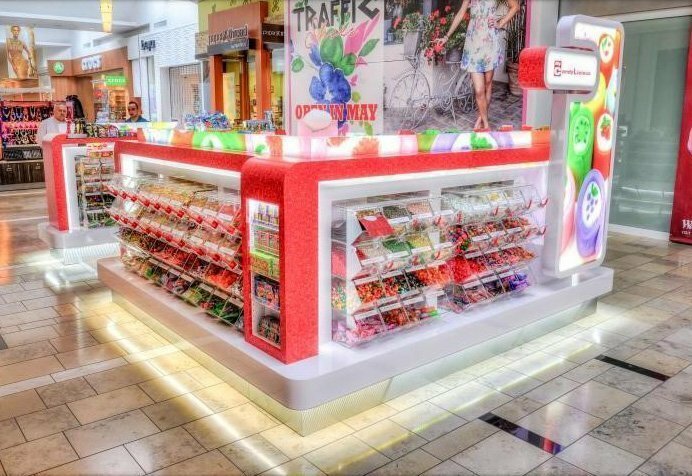 when you see this kiosk first eyes, I think you will love it very much, same as most all candy kiosks, will choose some right color as the main tone, the whole kiosk mainly tone is white and red. four sides are many acrylic boxes, its double sides display. the guest also can into the kiosk inside to choice candy. at the bottom is skirting match white led light strip. it’s very bright and attractive. What points need the notice to build a candy kiosk? 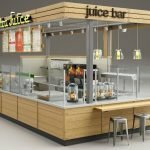 At first, confirming the whole kiosk style and service. 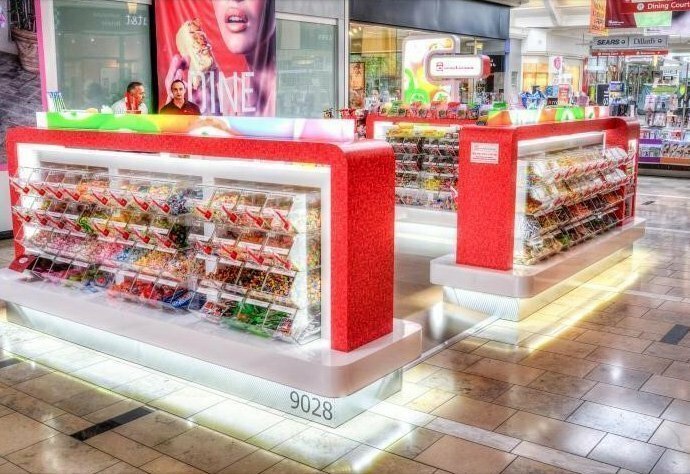 you need to rent a space in mall or store, if you’re an entrepreneur, can start your candy business from a small kiosk. it’s good to save your budget. Second, you need to build a kiosk and make it match the space. the important is the color choice. usually, we will choose some bright color. such as white, red, purple. and more. of course, it also can be customized based on your ideas. The third is the whole kiosk layout and decoration. Add some lightbox posters and lights as appropriate. try to make it attractive. 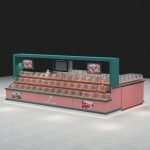 Thanks for your time and reading, Unique kiosk as a direct manufacturer, we mainly work on the design and customized for different types of retail candy display rack and candy display counter. if you plan to start your candy store, pls direct contact us as below, welcome inquiry!